Parents play a critical role in the prevention of bullying, harassment, and discrimination. Often we are placing the responsibility for safe schools entirely on the educational system. Schools and school districts do have an obligation to address safe schools issues and violations based on state law and mandated state school board policies. Many schools have implemented anti-bully programs to address these issues. 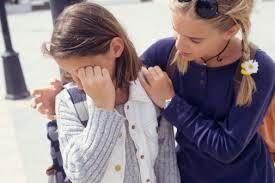 Typical programs include helping students acquire knowledge and skills to use if they are bullied. My safe schools programs emphasize the importance of soliciting the pro-social support of the bystander population. Students who are willing to speak up when there is a problem or when they are helping others. Parents lay the foundation for a student’s willingness and ability to act in ways that benefit themselves and others. It’s much like teaching reading in the school system. If a child comes to school without a foundation in reading, then the learning process becomes much more challenging. One of the most important things parents can do is to teach children emotional intelligence. Teach your child to manage negative emotions by setting an example with your own behavior. Reflect on how you respond to strong feelings of anger, fear or sadness — being careful to identify and accept your emotions, express them without blaming other people, and respond without aggression. Children learn so much more from our actions and when we model these behaviors as adults. Many times students will engage in bullying behaviors while not fully understanding the emotional impact these anti-social behaviors have on others. Although there are some children and youth who deliberately and maliciously intend to hurt others, there are many acts of bullying, harassment, and discrimination that are done out of ignorance. Typically this ignorance is due to a lack of empathy for others. The ability to understand the feelings and internal world of another person is called empathy. Children who have developed this ability can truly say “I can feel what you are feeling in this situation”. “Children and teenagers who have the greatest amount of skill at empathy are viewed as leaders by their peers. The best teachers of that skill are the children’s parents” Kutner, L. (2007). We are all born with the capacity for empathy, but it is not developed without opportunity and experience. As parents we begin teaching this process in infancy by the way we treat our children when they are upset, frightened or cranky. We continue to teach our children empathy through experiences with others. 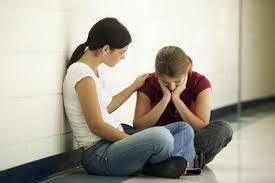 Addressing your own child’s needs and teaching them how to rebound from emotional distress. When children feel emotional attachment to a responsive caregiver they are more likely to want the same feelings of care and support for others. Fostering the development of self-awareness with your children. Helping a child understand they have a mind of their own so that they will also understand from an early age that others do as well. In psychology, this is referred to as “Theory of Mind”. Finding opportunities to model and develop sympathetic feelings for others. Point out real-life situations that call for empathy and along with your child, generate sympathetic responses and action. Helping children and youth discover what they have in common with their peers even though their outward world seems very different. “We are all human beings” and diversity brings richness and value to life. Developing perspective taking skills. What is the world like when we “walk in another’s shoes and see with their eyes?” Stories from books or television are a great way to practice. Stories such as the “Diary of Anne Frank”. Also, engaging in service learning opportunities to recognize adversity and help others in need. Helping your child develop a sense of morality that depends on internal self-control, not on rewards and punishment. We refer to this as “Intrinsic Motivation”. The message to children is: Sometimes we simply do the right thing even when there is nothing to gain or lose personally. Helping children see personal adversity as a chance to learn and grow and to recognize that we all face challenges at times. Persevering through life’s struggles gives us strength and builds compassion for others. Developing empathy is an on-going deliberate process. As parents we must provide the opportunities and experiences for our children. It starts at birth by being responsive caregivers and continues throughout life through experience. Our schools need empathetic children walking through the doorways prepared to effectively use the programs and skills taught in bully prevention programs.